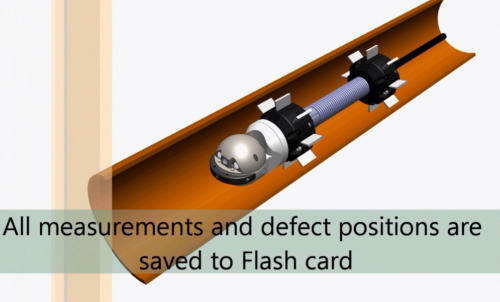 At last, Troglotech has found a simple way to measure defects in pipework that doesn’t involve expensive lasers and post-survey calculations. With the Digital Lens System all you have to do is: • Focus on the object you want to measure • Move a marker on-screen using the cursor keys to the measurement start-point • Move a second marker to the measurement end-point • That’s it! 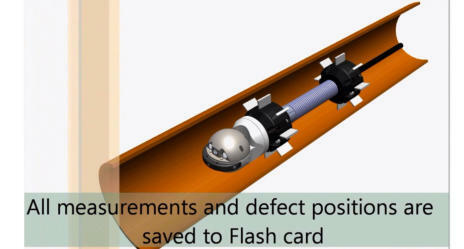 The measurement, object distance and position in the pipe is saved along with the survey video It couldn’t be easier, your customer can get accurate proof of the severity of any problems found during the survey. It may also be the proof that you need to carry out further work. No more guessing.